MURF?, MURPH?, MIRF? No, it’s a MRF – A Material Recovery Facility. 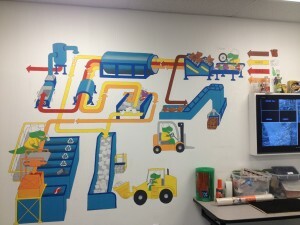 Since its grand opening in November 2011, the Pratt Industries’ MRF in Denton, Texas has had hundreds of students visit the facility to learn about recycling in a fun and interactive way. 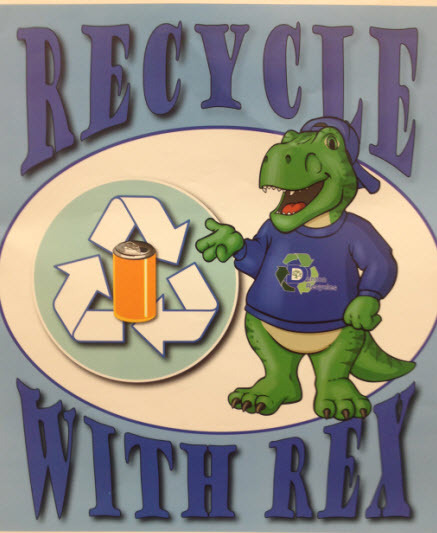 An impressive operation in its own right, Denton’s MRF makes the recycling learning experience more appealing to kids with a special appearance from “Rex” the dinosaur. The children not only learn about what items are recycled in the facility, but also how the landfill that is right next door doesn’t need to grow in size with items that are recyclable. 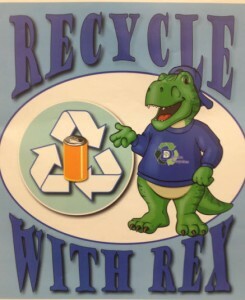 Denton does a great job conveying an important message to the next generation of environmental stewards: as long as everyone does their part, recycling can grow, and the environment can be preserved. John is the youngest Plant Manager within Pratt Industries, but his age is irrelevant with the professionalism that is shown to all who visit and work at the facility. John has a long history of being involved in recycling that started with his grandfather and continues today with his dad, Gary Dunlap, also a Pratt employee. The Pratt employees at the MRF in Denton, TX ensure that visitors, both young and old, leave the facility understanding how recycling works and the positive impact that it has in our world’s sustainability.